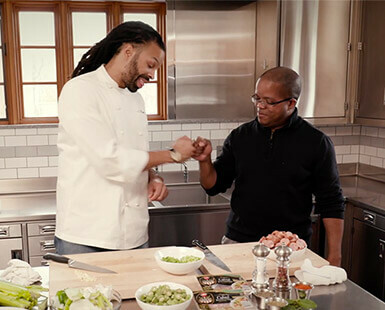 From the African roots of Southern soul food to the eating habits of trendsetting millennials, Hormel Foods is covering the dishes and stories behind food heritage through a new, online video series called Cooking & Culture. 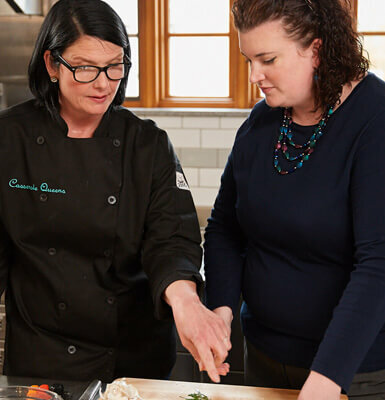 Chef Sandy Pollock of the Casserole Queens and Stephanie Postma, national category sales manager at Hormel Foods, joined us to talk about making quick meals for busy families in the second chapter of Cooking & Culture in honor of Women’s History Month. In medium bowl, combine mashed potatoes, flour, and 1 cup of cheese. Lightly grease 13- × 9-inch baking dish with ½ tablespoon of olive oil and press mashed potato mixture into bottom of dish. Brush potatoes with ½ tablespoon olive oil. Bake 45 minutes, or until lightly browned. Remove from oven. 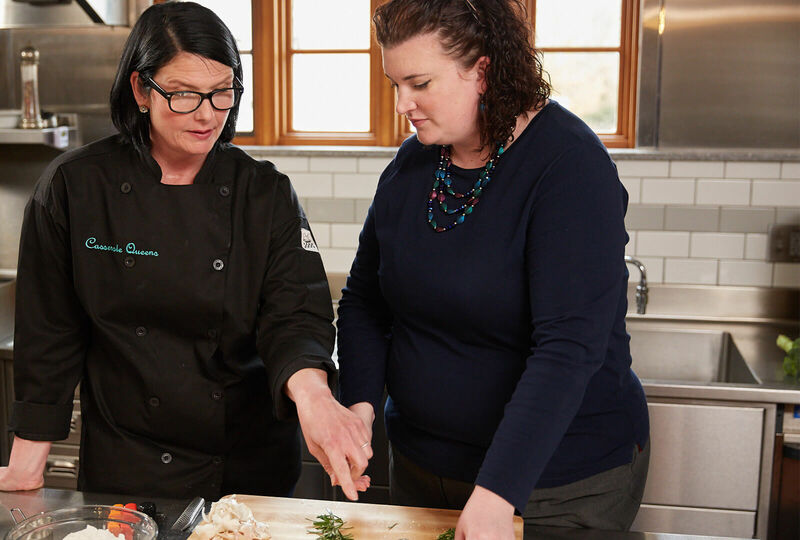 In large bowl, toss together mushrooms,1 tablespoon olive oil, salt, and pepper until coated. Place on baking sheet. Top with rosemary sprigs and bake 30 minutes. In large skillet, over medium heat, add remaining 1 tablespoon olive oil. Add garlic and cook 1 minute. Add spinach, tossing to coat. Cook 1 to 2 minutes, or until wilted. 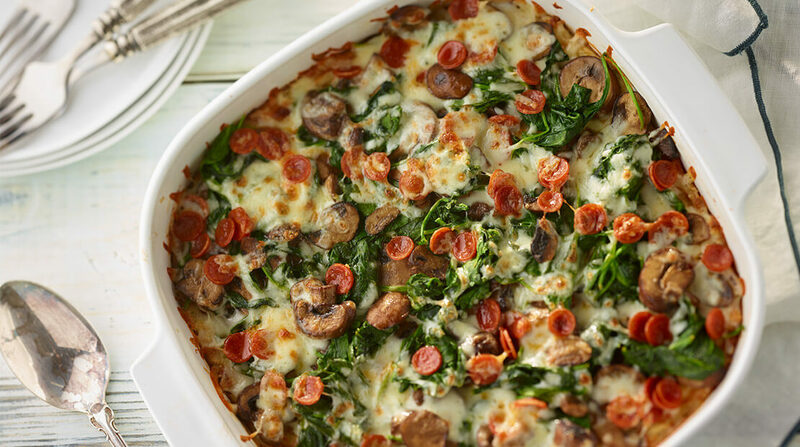 Cover potato crust evenly with 1 cup of cheese followed by mushrooms, spinach, pepperoni, and remaining cheese. Bake 15 to 20 more minutes, or until cheese has melted. 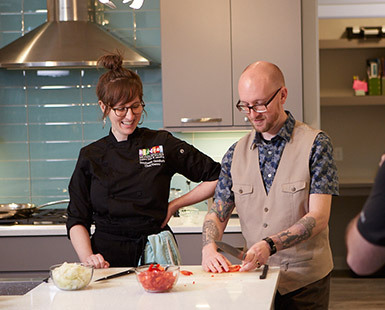 Food transports you through time and space emotionally. There is so much tied into food that there’s no way to separate from it. 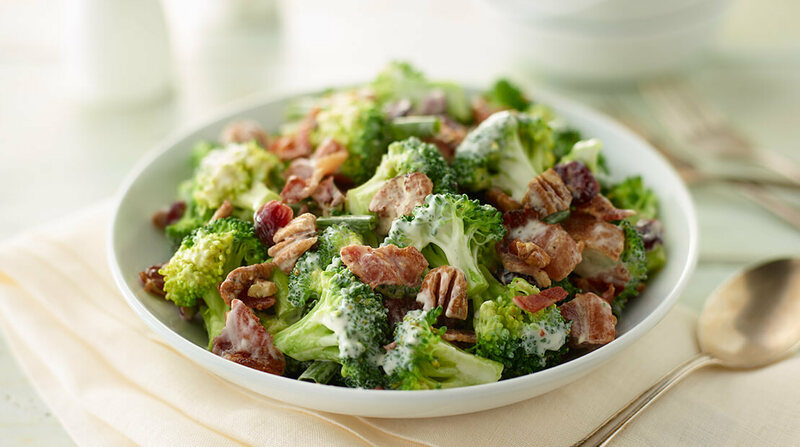 In large bowl, combine broccoli and next 4 ingredients. In small bowl, whisk together mayonnaise and remaining ingredients. Pour dressing over broccoli mixture and tossing to coat. In small saucepan, over medium heat, combine granulated sugar with 1 cup of water. Cook 4 minutes or until sugar dissolves. Pour syrup into bottom of 9- × 9-inch baking dish. Core apples, but don’t go all the way through to the bottom. (This will help keep the filling in the apple.) In medium bowl, combine brown sugar, peanut butter, butter, and cinnamon. Divide mixture evenly among 6 apples. 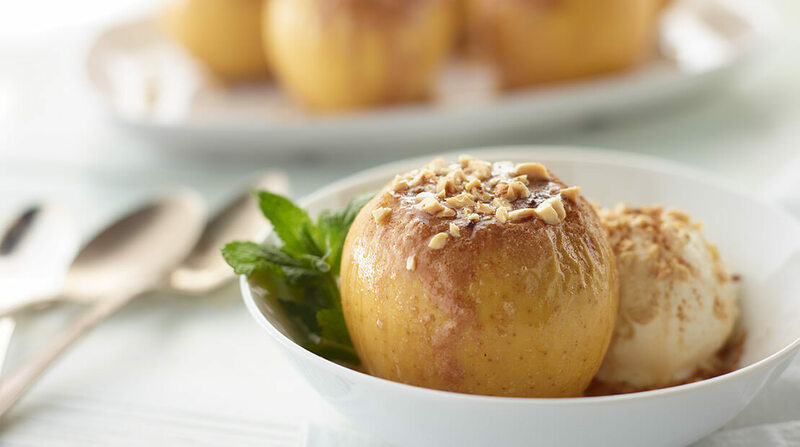 Place apples in baking dish over syrup. Bake 1 hour, or until a knife can be easily inserted into apples. Let stand 5 minutes. Serve with vanilla ice cream. Garnish, if desired with chopped peanuts, and fresh mint sprigs.